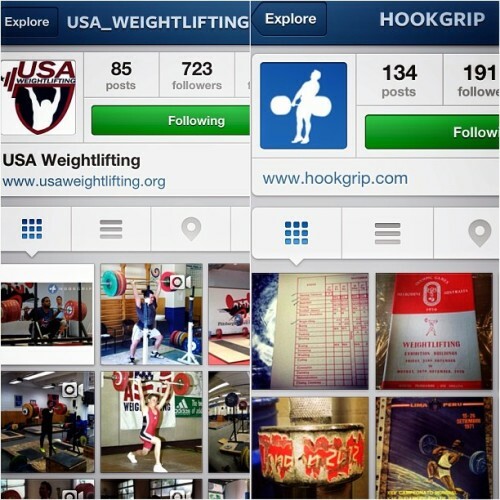 #FF These are two accounts you want scrolling through your feed if you’re a weightlifting junkie like me. @usa_weightlifting posts photos and videos of the top junior and senior current and up ‘N coming weightlifting talents — be prepared to be amazed. While Nate Arem of @hookgrip has the most epic collection of weightlifting paraphernalia I’ve seen to date. It’s like having your own physical culture history museum in your IG feed! Oh, and he takes and creates beautiful weightlifting posters.